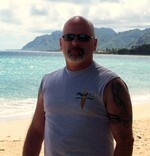 Sign up for Broadjam today to follow Mike Arnold, and be notified when they upload new stuff or update their news! Mike?s first CD ?A Father?s Work? is independently released on Mr. Chips Music. The CD contains a wide variety of songs from easy listening to Rock to Country. 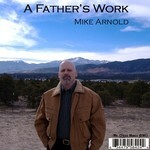 The CD was released on 7/25/07 in select outlets (2400 stores)and is available at CD Baby (www.cdbaby.com). It is also released digitally worldwide and will begin to be available through most online sites over the next few weeks including Apple ITunes, Music Match, MSN Music, Napster, Verizon V CAST, Sony Connect and many others. Two people have spent years together and reach a point where things hit an alltime low. The put things behind them after looking back and realizing they belong together. My partner said the line "Don't give your Love away" and I went home and wrote and recorded the song in one night. Why donÂ?t you stay with me, tonight. Written as a way to vent after 9/11. Originally was goint to be performed at a live concert called "Tower Aid" in CT, but I never used the song. An accustic demo sat on the shelf for a couple of years whcih I really like but it just didn't convey the anger. I finally sat down last week and put down these tracks. I have a few more lyrics but didn't use them. Wrote this song for a Taxi dispatch request the night before it was due. Sat down at the piano and started laying down tracks. It was hard to stay in the 50's style both musically and lyrically.